Wormholt and White City Big Local threw a Christmas party on Bridget Joyce Square in the heart of the White City Estate. 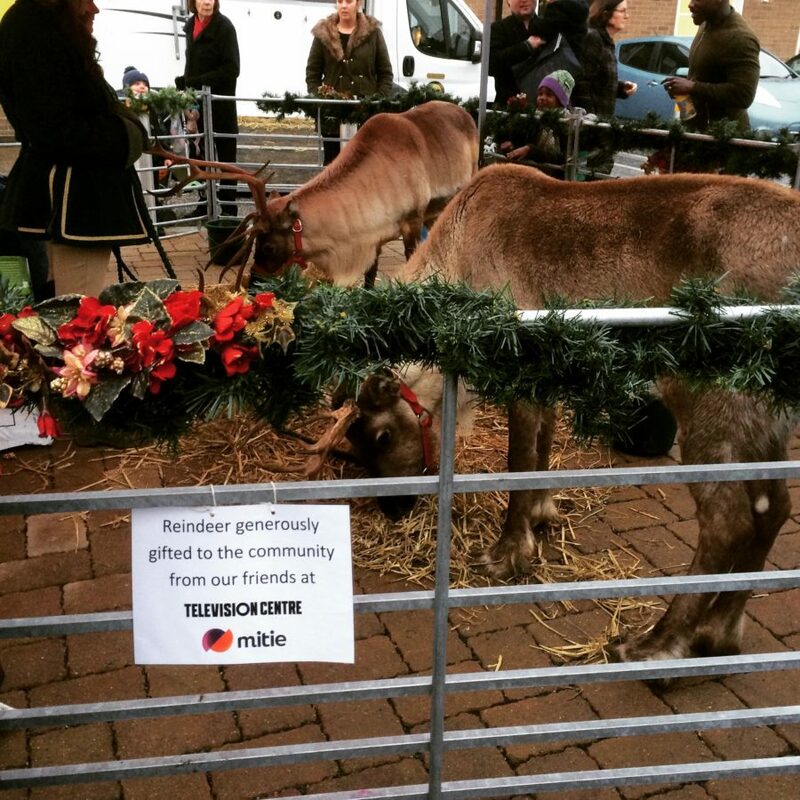 Dreamt up and led by local residents, the party included real reindeer provided by Television Centre, a winter wonderland grotto, a Christmas tree, Christmas choirs, festive gifts and face painting. Big Local volunteers and community champions joined in the fun on the day of the party, decorating the tree and dressing the grotto. During the event itself it was all hands on deck with residents serving hot drinks and mince pies, manning table tops stalls and managing the growing queue to see Santa.